Attorney Michaelangelo Cieri provides comprehensive legal support and advocacy. In representing you, he will provide personalized attention to your case. He will work closely with you to better understand your circumstances. The strategy he implements will be with your best interests in mind. 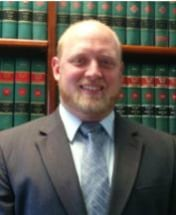 As a lawyer at Nicholas, Perot, Smith, Bernhardt & Zosh, Michaelangelo serves clients across Western New York. While Michaelangelo’s focus is on bankruptcy, personal injury, and Social Security Disability cases, he also provides representation in criminal defense, landlord-tenant and matrimonial law matters. Regardless of the case, he knows what steps to take to favorably resolve your case through litigation or negotiation. If you suffer injuries due to the negligence of another, Michaelangelo takes immediate action. Michaelangelo routinely tries wrongful death, car accident, medical malpractice and slip-and-fall cases. He is capable of handling the most complex and serious of personal injury matters. He will fight hard for you, and make every effort to recover the maximum amount of compensation. When facing enormous debt, Michaelangelo can provide guidance on whether bankruptcy is the right solution for you. Michaelangelo has a reputation for providing attention to detail. He also has an in depth understanding of the bankruptcy code. Whatever your circumstances, he can guide you through the legal process and help you understand all of your legal options. Born and raised in nearby Amherst, New York, Michaelangelo understands the issues that ordinary individuals in Western New York face. He makes himself available to everyone he represents and will discuss your legal matter during a free initial consultation.